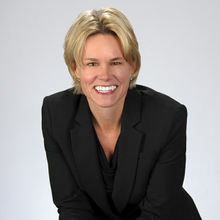 As president of client representation for sports and entertainment agency CSE, Molly spent two decades as one of the world’s only female sports agents. She was hailed as the “female Jerry Maguire” by CNN as she recruited and represented hundreds of sport’s biggest names, including Hall of Fame pitcher John Smoltz, PGA TOUR golfer Matt Kuchar, broadcaster Erin Andrews, and basketball championship coaches Tom Izzo and Doc Rivers. As she successfully negotiated over $500 million in contracts and built lasting relationships, she also observed and adopted the traits of those at the top of their game. She has been featured in ESPN, Fast Company, Forbes and Sports Illustrated, and has energized organizations as diverse as AT&T, Bank of America, Michigan State, Georgia Tech, the PGA TOUR and Home Depot. Molly is the author of three books: A Winner’s Guide to Negotiating; The Business of Being the Best; and The 5 Best Tools to Find Your Dream Career. She’s also the founder of The Betterment Institute, a series of online coaching courses for corporations and individuals. Molly has been recognized by Michigan State University with the Outstanding Alumni award and numerous other awards. She currently serves as a National Trustee member for the Boys & Girls Clubs of America, after serving on the Children’s Healthcare of Atlanta board and as a member of Young Presidents’ Organization (YPO). Molly earned a bachelor’s degree in communications from Michigan State University while competing in tennis as an elite college athlete. Molly’s energy and passion for life shines through everything she does and shows mostly when she is home in Atlanta with her husband Fred and their three daughters.